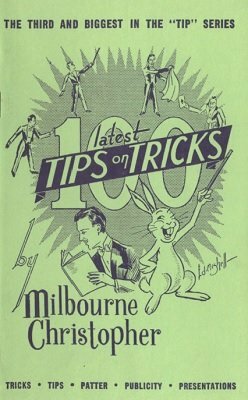 This ebook is profusely illustrated by Ed Mishell and includes tricks, tips, presentations, publicity, patter and ideas. Clever and ingenious routines, many with standard props or none at all. 1st edition 1953, 41 pages; 1st digital edition 2016, 51 pages. For me, lybrary has become synonymous with 'value for money'. Enjoying these tips on tricks.